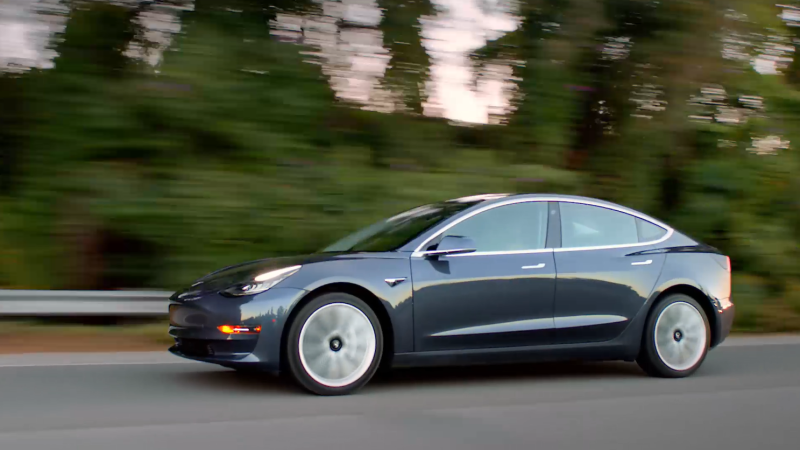 All eyes are on whether Tesla can mass produce the new Model 3 sedan as promised, but reports as of late indicate production holdups and delays far greater than anticipated. In a letter to shareholders Wednesday, the automaker said the “primary constraint” on the Model 3 production line has been issues at the company’s massive Gigafactory. In a letter Wednesday on Tesla’s third quarter results, Tesla said the company’s target of producing 5,000 Model 3s per week by the end of 2017 is now being pushed back until the “late” first quarter 2018. The upshot: it’s going to take longer for reservation holders to get their Model 3. The company reiterated that it believes there are “no fundamental problems” with its supply chain or production processes. But it admitted that bringing up the level of automation on the Model 3 production line has been challenging “in the early stages of the ramp.” Particularly, issues were more pronounced at the massive Gigafactory in Nevada. Facing a daunting reservation list of 450,000 people, Tesla set aggressive targets for the automaker’s new all-electric sedan, which began production in July. The company aimed to make 1,500 Model 3s by September, and eventually ramp up to make 5,000 per week by the end of 2017. In the letter Wednesday, Tesla said it now forecasts hitting that 5,000 per week target by “late” first quarter 2018. “Based on what we know now, we currently expect to achieve a production rate of 5,000 Model 3 vehicles per week by late Q1 2018, recognizing that our production growth rate is like a stepped exponential, so there can be large forward jumps from one week to the next,” the company said. The company reported having $3.5 billion of cash, and said it generated $2.98 billion in revenue during the third quarter. Additionally, Tesla posted a net loss of $619 million, its biggest ever. CEO Elon Musk is slated to hold a conference call this evening to further discuss the third quarter results. This post will be updated.